PLR Wholesaler is a membership site that provides you free access to a lot of PLR (Private Label Rights) products for lifetime. 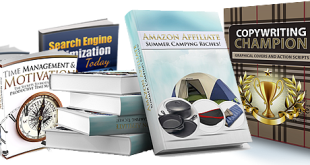 You can use these PLR products for making money online. Here is my honest PLR Wholesaler review. 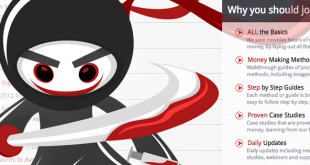 Additionally you get access to five different bonuses with your registration. You can use all of these products for lifetime. How you can use these products depends on you, if you don’t have any idea, you can get access to a free bonus Private Label Formula that tells you how you can earn money with PLR products. When we talk about PLR products, quality is the major concern. Even if you are using PLR products to send your customers for free, you still need to ensure that you are sending them a quality product that carries value with it. When in the member’s area, you will have to search the products. There is a search bar at the top. Not all the products are worth using but there are a few that are really the steal. You have to find the PLR products that are supposed to be best for you. I know it is not easy but when you are getting it for free, you shouldn’t hesitate to invest sometime, right? Make sure that you read the written material before you use it (like ebooks and articles). You get access to several FREE bonuses with your registration. There are a lot of PLR products to choose from. New products are added to the database. Almost half of the products in the database are totally useless. With the free membership, you don’t get access to the full database. ID PLR is another site that offers free PLR products. There isn’t much difference between ID PLR and PLR Wholesaler for the fact that both the sites are free and offer free membership. But when it comes to quality of products and number of products being offered for free, PLR Wholesaler is much better than ID PLR. PLR Wholesaler offers you with free bonuses whereas you don’t get any such bonus with ID PLR free membership. ID PLR only offers you with ebooks and software with free membership (only 500), whereas PLR Wholesaler offers you all types of PLR products with free membership. There is no such restriction here. Clearly PLR Wholesaler is much better than ID PLR. 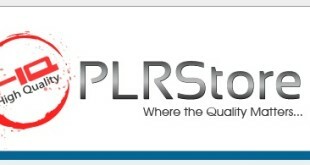 PLR Wholesaler is a great resource for your online business, site, blog and for marketing. It is not about the number of the products you get for free rather it is all about how you use PLR products. If you master the art of making money with PLR products, nobody can stop you from becoming a millionaire. Thanks to the PLR Wholesaler because they offer you with complete guide to making money with PLR products for free.